This article discusses how to use different joins in Hive in a step by step manner. 1) Create a department table with below data. 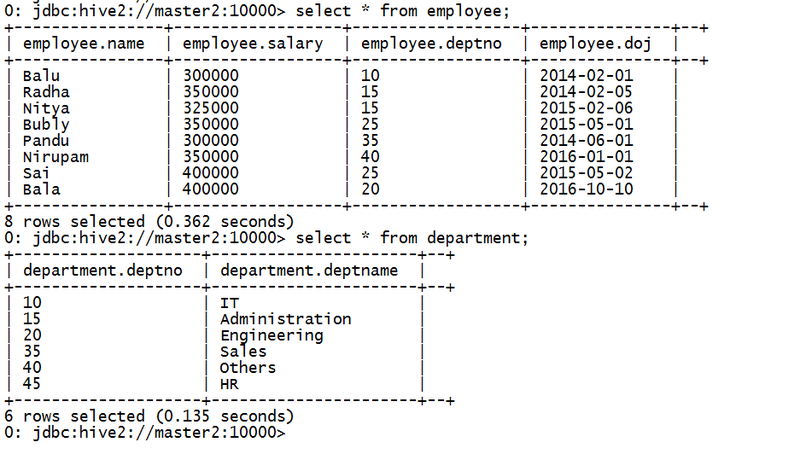 Check How to create a table in Apache Hive here. Describe employee table and describe department table. Check data from both the tables. Both tables have deptno as a common column. For example : deptno 10 in employee table is matched with deptno 10 in department table, but not deptno 25. The fuctionality above is called inner join. We can even specify inner join like below. We can even specify alias for table names like below. 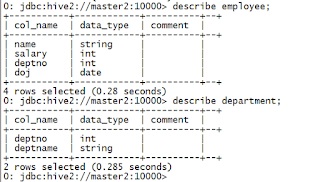 If we want to see even unmatched rows from employee (left side ) table , Then we can use left outer join like below. The output above displays NULL for deptno 25 row as it does not have any data department table. 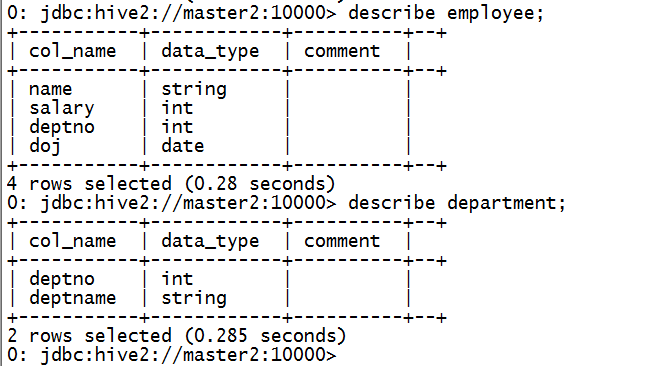 If we want to see even unmatched rows from department (right side) table , Then we can use right outer join like below. 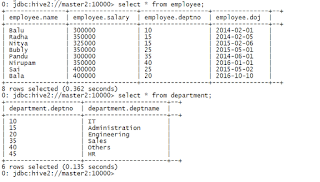 The output above displays NULL for deptno 45 row as it does not have any data in employee table. If we want to see unmatched rows from both tables , we need to use full outer join like below. Full outer join opitput contains NULL rows from both left outer and right outer joins.